Let's start a fashion riot. 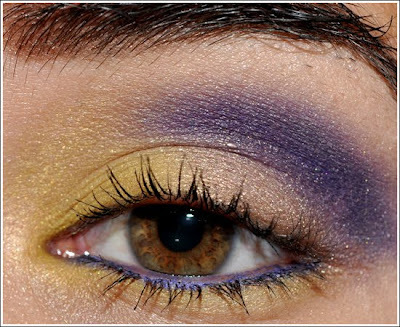 : Trendspotting! 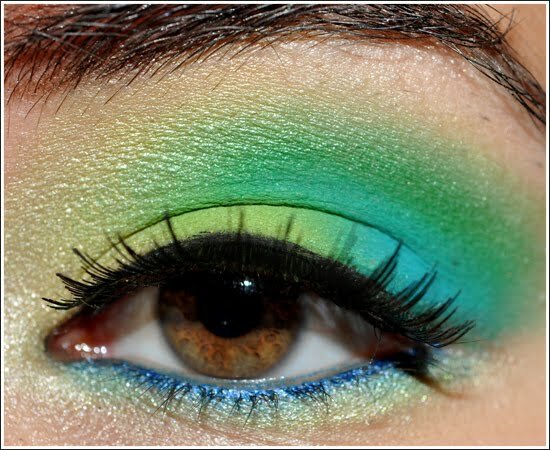 What's in season: Fierce , bright candy-coloured eye makeup that make your eyes POP! Love how the colours are concentrated on the crease and the metallic glitterish eyeliner on the waterline ! What's in season: Metallic , metallic and more metallicssss! 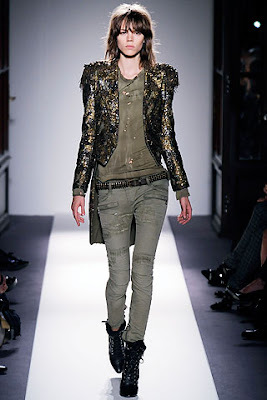 This outfit is from Balmain (Bal-mah). Loving the padded shoulders and ripped jeans! Loving the trousers from Marc Jacob's Spring 2010 RTW! Fabulous piece by Balmain's Spring 2010 RTW.